Today I arrived Bangalore by morning flight. 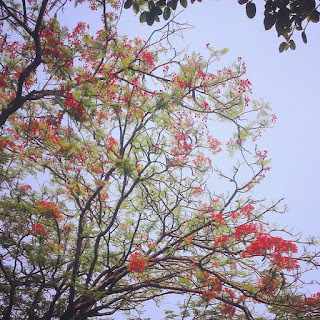 As I enter the city I saw the city's Gulmohar were at full blossom. April and May is the peak season when these flowers are blossomed and whole city is painted in red. 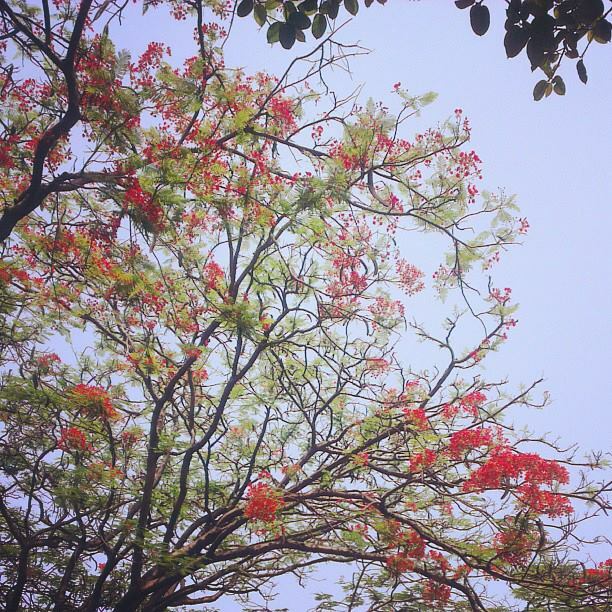 Botanical name of Gulmohar is Delonix regia. In Hindu mythology these flowers are considered as 'Crown of Lord Krishna"